This South Australian region is known as 'The Seafood Frontier' with about 65 per cent of Australia’s catch coming from the ocean right here. Whether you enjoy beach fishing, jetty fishing, fishing off the rocks, or from a boat, you'll be in fishing paradise in this wild and pristine part of the world. Fishing at South Australia's Eyre Peninsula region is always rewarding, with plentiful variety for anglers of every kind. 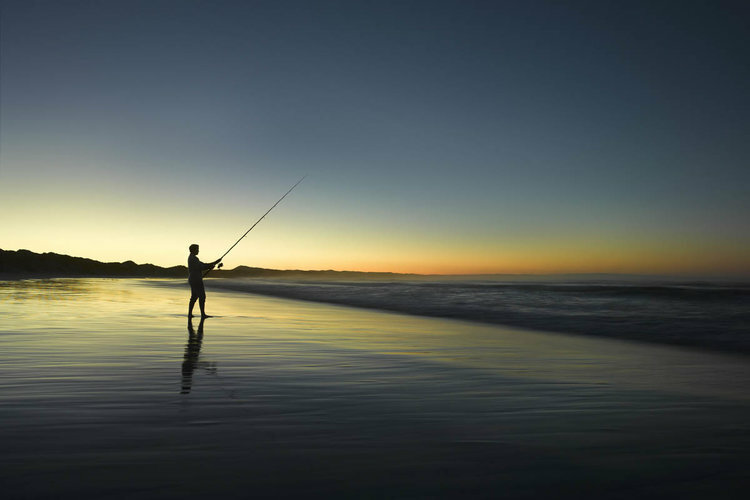 On a day out with your line or rod, you’re likely to see King George whiting, snapper or “big reds”, sweep, trevally, snook, salmon, tommy ruff, mulloway, garfish, flathead and squid. If getting in the water is your thing, you can go diving for razor fish and abalone, or catch blue swimmer crabs. Or head out towards Kangaroo Island on one of the local fishing charters and fish for salmon off the back of a luxury boat. We can connect you with local operators who'll take you out. After a day of recreational fishing in the best fishing spots in South Australia you'll want somewhere to cook your catch, and lay your head. Coodlie Park Farm Retreat offers everything you need for a comfortable stay on the Eyre Peninsula. And we have a range of accommodation options to suit just about everyone. Choose from our fully self-contained farm-stay cottages, or budget dorm rooms with shared facilities, ideal for families, groups and backpackers. At Camp Coodlie, you can bush camp in our purpose-built swag camping huts with access to a communal camp kitchen, fire pit, toilets, and even warm bucket showers. You can also park your camper van, caravan, 4WD, or park your car and pitch a tent. For only $15 per vehicle, we reckon it’s the best value budget accommodation on the Eyre Peninsula. There's plenty of space for you to spread out and relax. You can even bring your dog. The Fresh Fish Place in Port Lincoln is renowned for its fresh fish in a smart casual setting. Coffin Bay Oyster Farm is world famous for – you guessed it – oysters. Join a tour and make a day of it. These ones are the best and the freshest you'll ever taste. Line & Label is a new fine-diner, located at the vineyard of Peter Teakle Wines in Port Lincoln – something truly special, for if you're feeling fancy.